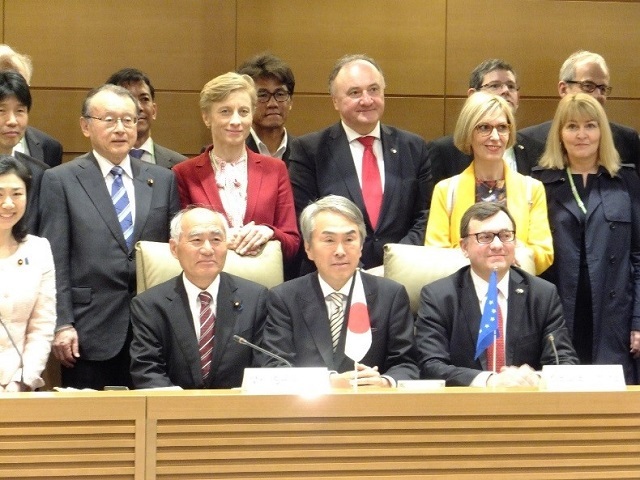 On 9th May 2018, Reconstruction Minister Masahiro Yoshino gave a briefing on “Reconstruction from the Great East Japan Earthquake” at the 38th Japan-EU Inter-Parliamentary Conference to the visiting members of the European Parliament and other participants. 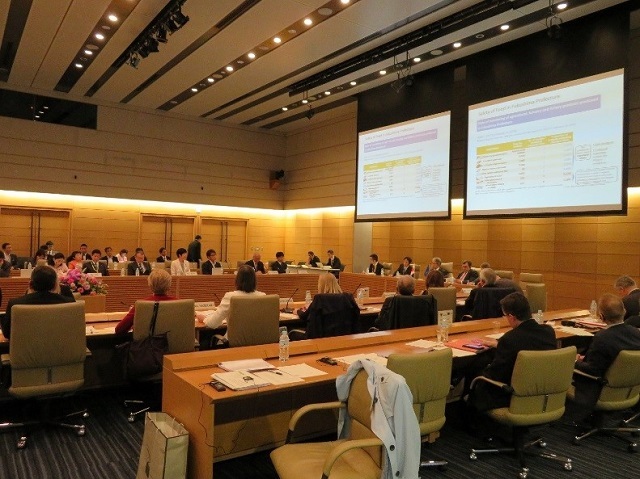 During the briefing, the Minister explained that: the air dose rates within an 80 km radius of TEPCO Fukushima Daiichi Nuclear Power Station decreased by about 74% since November 2011; Fukushima Prefecture is about 130 times larger than the City of Paris, while the areas under evacuation orders are about 3.5 times larger than Paris. In most of the prefecture, normal life is being conducted; air dose rates in Fukushima Prefecture do not differ much from many cities around the world; Japan’s standard limits for radioactive substances in food are the strictest levels in the world; and speaking of standard limits for radioactive substances contained in the food produced in Japan, the figures for vegetables, tea and livestock products have not exceeded the standard limits for the past five years, since fiscal year 2013. 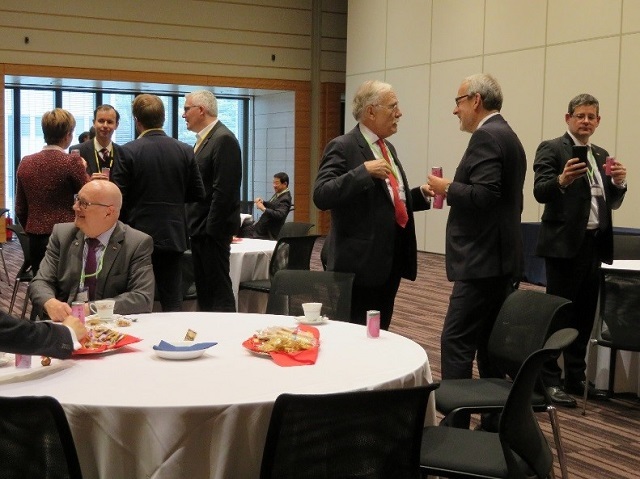 The peace juices produced in Fukushima Prefecture were provided by the Reconstruction Agency during the coffee break.